Love to be the first on a new ship to experience the shows, dining, and of course, all the state-of-the-art innovations? Here’s what’s setting sail in 2018. Guy’s Pig & Anchor Smokehouse/Brewhouse. Seafood Shack for for favorites like Crab Cake Sliders & Fried Buffalo Shrimp. SkyRide; zip around the suspended two-lane bike course high above the deck. Two movie theaters next door to one another, called the Carnival Multiplex. Dr. Seuss WaterWorks featuring side-by-side racing slides, splashy water-spray toys and a giant tipping top hat! · El Loco Fresh for all your Mexican favorites. · Playmakers Sports Bar & Arcade with 30 big-screen TVs! · Laser Tag; An epic glow-in-the-dark experience. 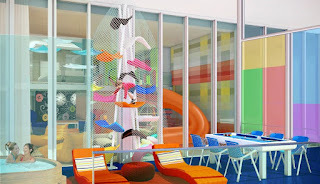 · The two level Ultimate Family Suite; a dream come true for kids of all ages! · Hairspray the Musical, a Tony Award winner! 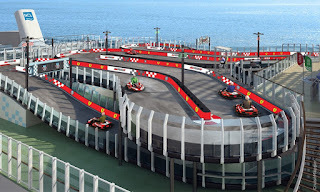 · The largest competitive, two-level electric car race track at sea. · Jersey Boys, a Tony Award winner! · Texas Smokehouse, Q, featuring live contemporary pop country music & authentic Texas barbeque. · Coco’s, an à la carte dessert venue. · Super Plus Family Cabins, which will be three connecting units that sleep 10, and Super Family Staterooms, with two connecting rooms that sleep 6. 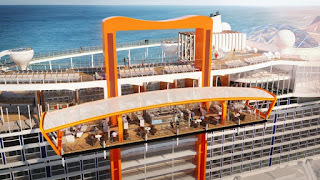 · A 360-degree promenade, which includes restaurants with both indoor and outdoor dining. · Outside spa and fitness facilities will be available, including spots for open-air spa treatments. 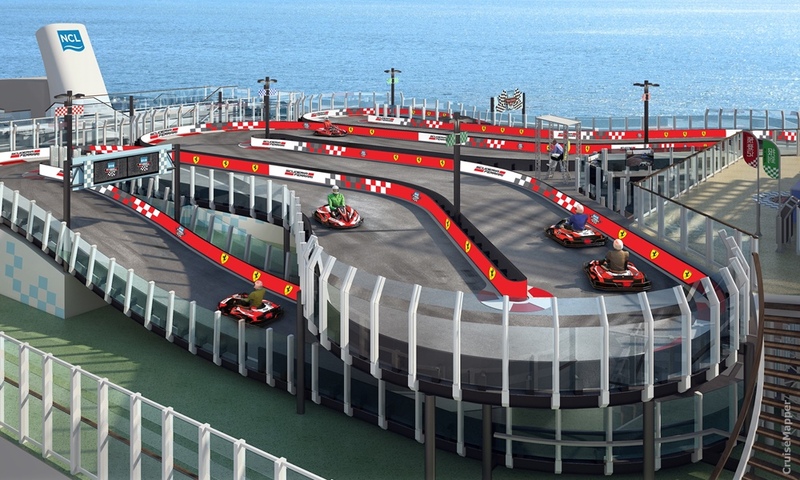 · An aqua park with 5 waterslides, including an interactive Slideboarding tube, which combines video games, lights, music and a 367-foot water slide! · The longest (426-foot) zipline at sea. · The 3- deck high atrium capped by a ceiling that serves as a backdrop for subtly changing high-definition projections. · Billboard Onboard venues as well as the Lincoln Center Stage to enjoy exclusive classical music recitals. · A new farm-to-table concept dinner experience in Culinary Arts Center presented by Food & Wine magazine. · Exploration Central will extend to local craft teaching, language and dance courses. · Traditional Dutch pea soup (with pork) is served outdoors in steamy mugs on cold-weather cruise itineraries such as Alaska or the Norway’s Fjords. · Eden, a fusion of dining and entertainment, featuring dramatic design elements spanning 3 decks at the aft of the ship with almost 7,000 sq. ft. of glass. · The "infinite veranda;" Instead of bulky glass doors, a thinner screen opens "at the touch of a button" and the line between inside and outside becomes seamless. · The Magic Carpet, a multi-purpose traveling platform that will be cantilevered off the side of the ship and move between decks. · Suite guests will have exclusive access to a sundeck called The Retreat. 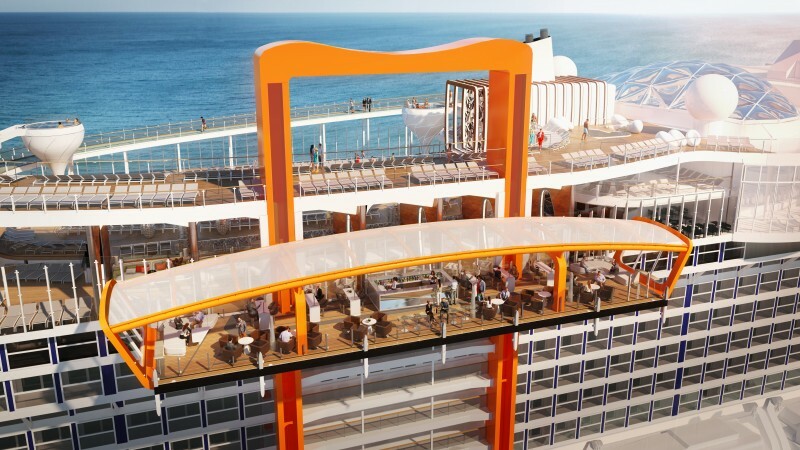 · A Rooftop Garden with tree-like sculptures that will occupy the aft pool deck.